SPRINGTIME BLOWOUT SPECIAL!!!!! CARFAX AVAILABLE NO ACCIDENTS!!!!! 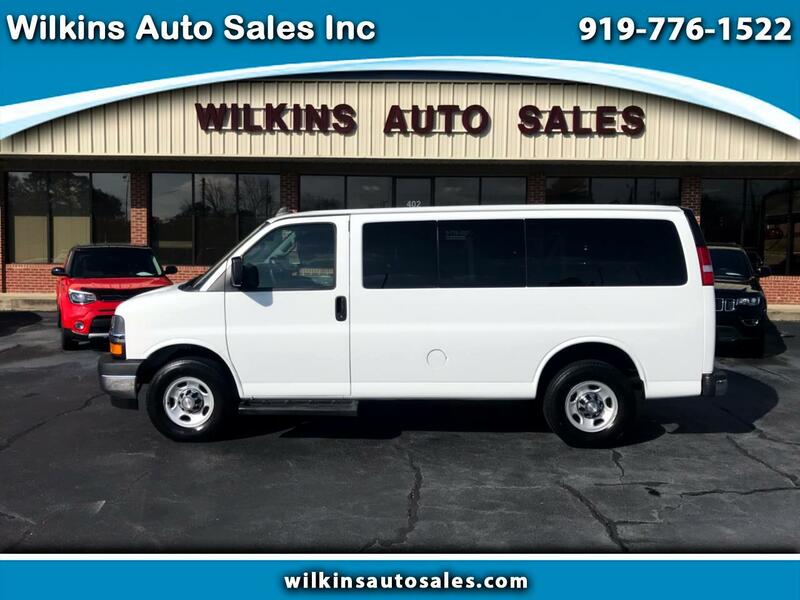 Here's a 2018 Chevrolet Express LT 3500 (12 passenger van) with 20,000 miles for only 24,850.00. This 12 passenger Chevrolet Express 3500 LT Van is loaded with options, here are just a few, 6.0 liter gasoline engine, power windows and door locks, tilt and cruise, automatic headlights, back up camera, keyless entry, on star is available, traction control, power drivers seat, information center, side step rails, sliding side door, double back door and much more!!!!! COME BY AND SEE RUSS OR JEFF TODAY OR CALL US @ 919-776-1522!!!!!! !